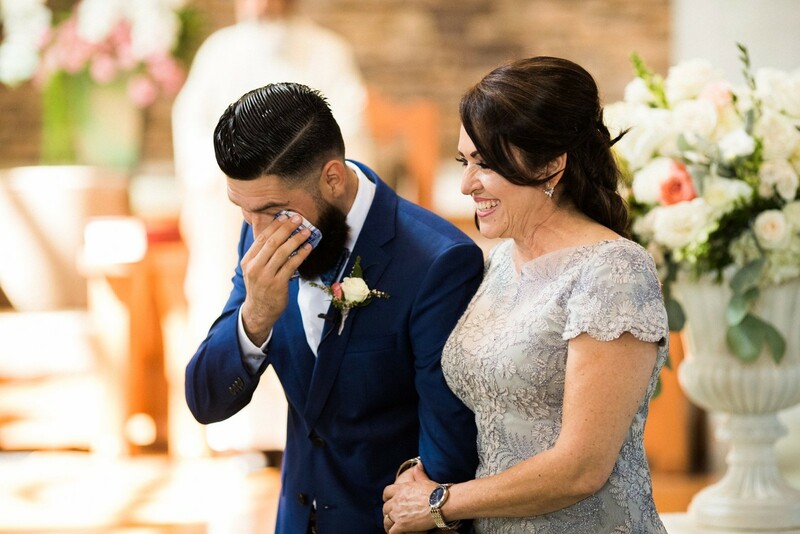 Evelyn and Hugo met in school 9 years ago and have been laughing together every day since. 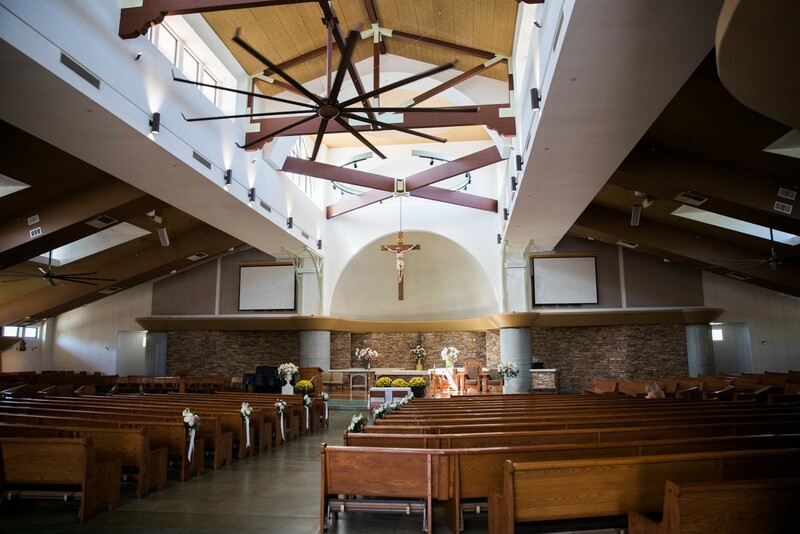 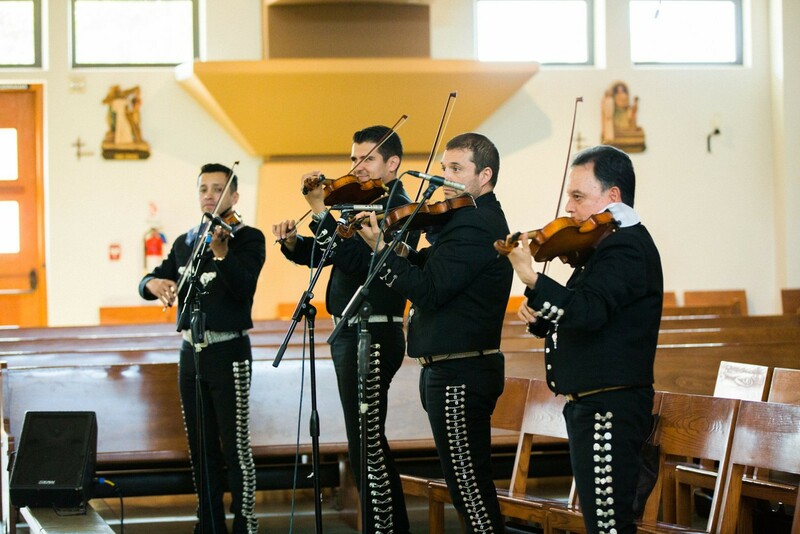 The festivities for their nuptials started at La Purisima Catholic Church in Orange, California. 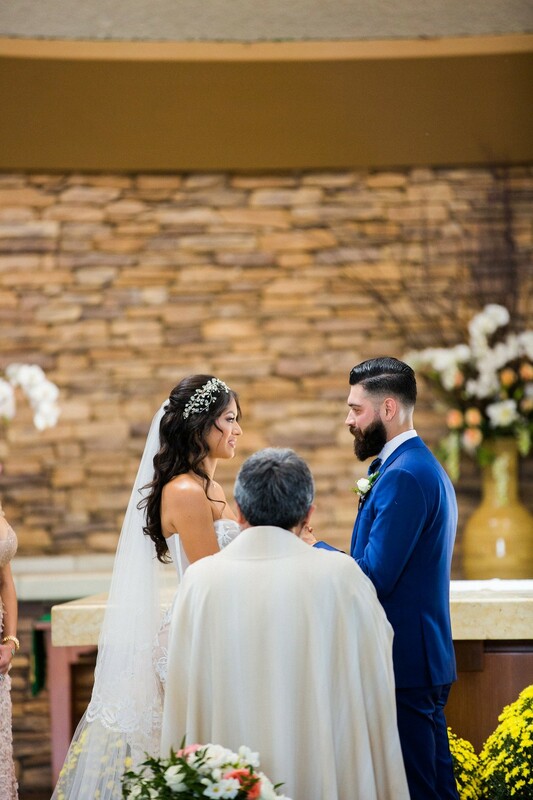 The church was bright and perfectly sunlit for a mid day ceremony. 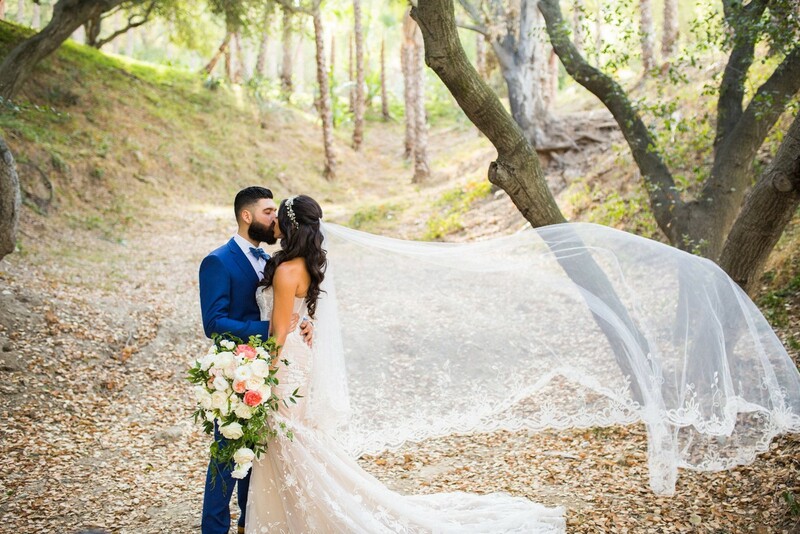 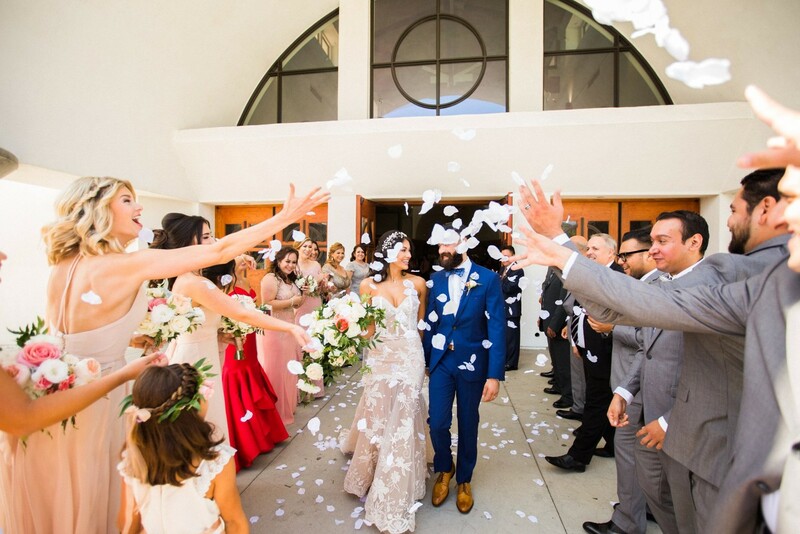 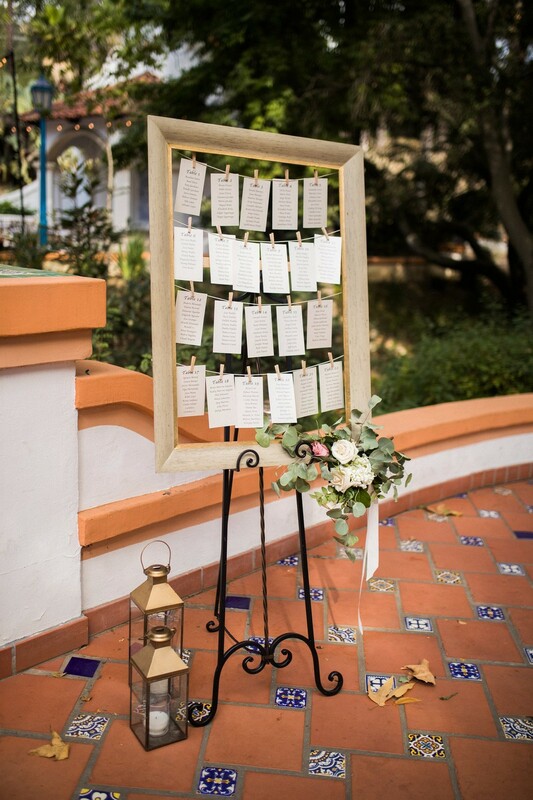 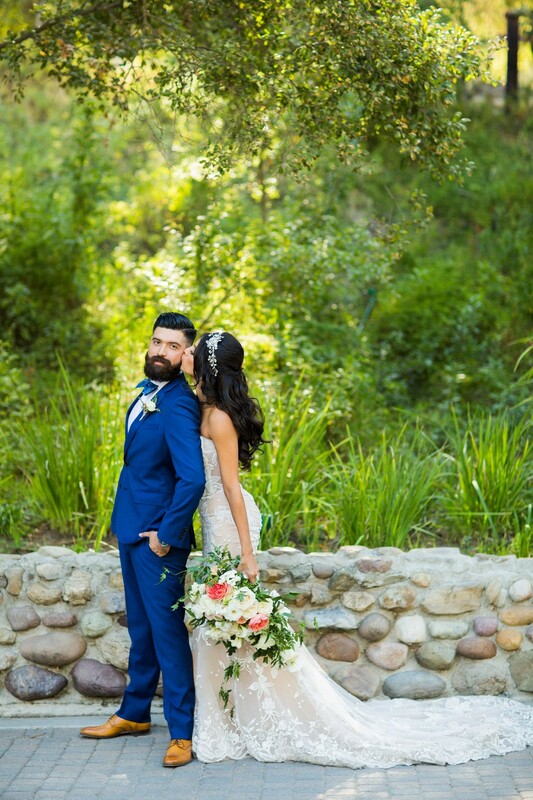 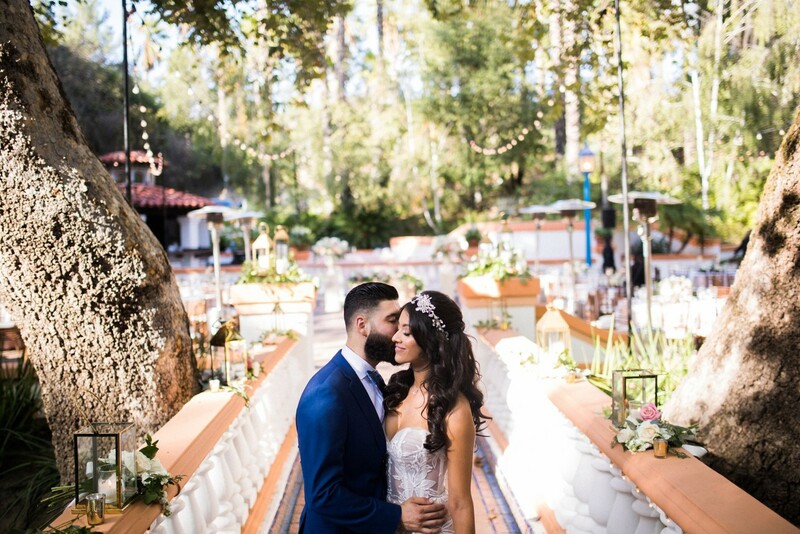 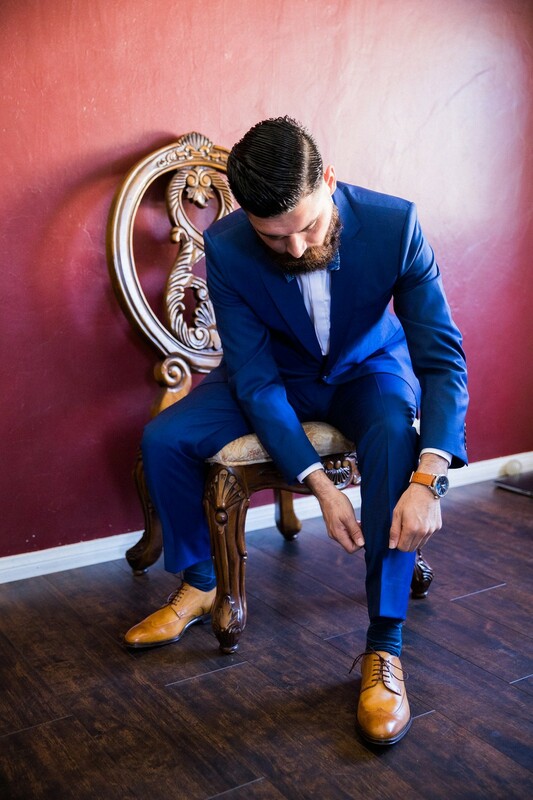 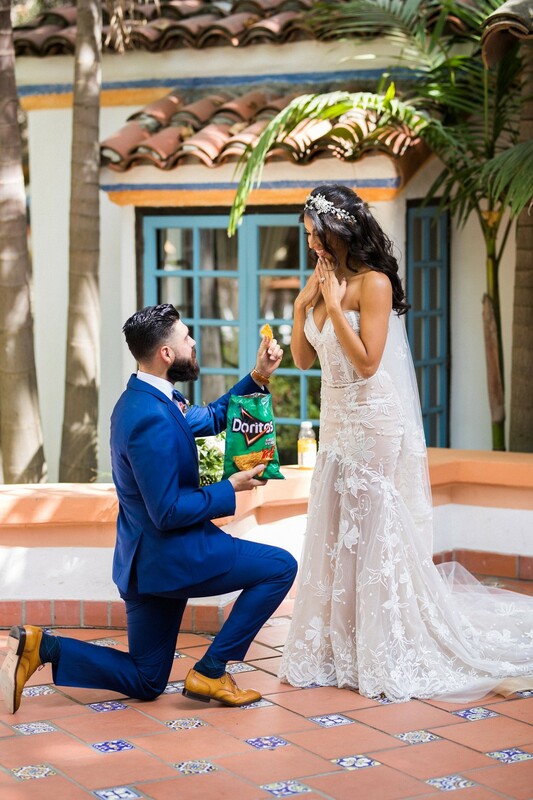 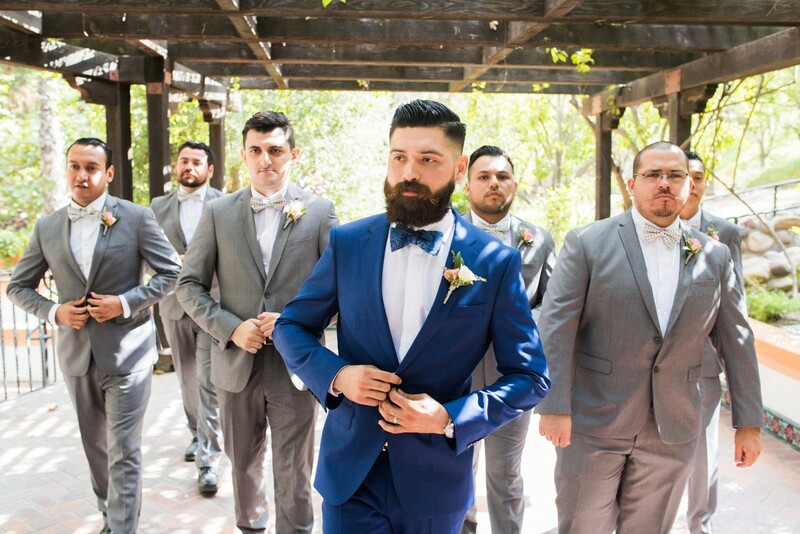 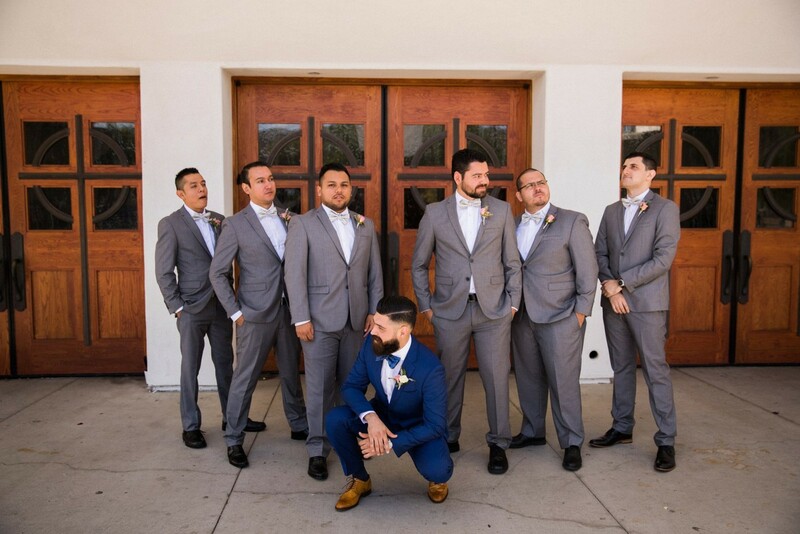 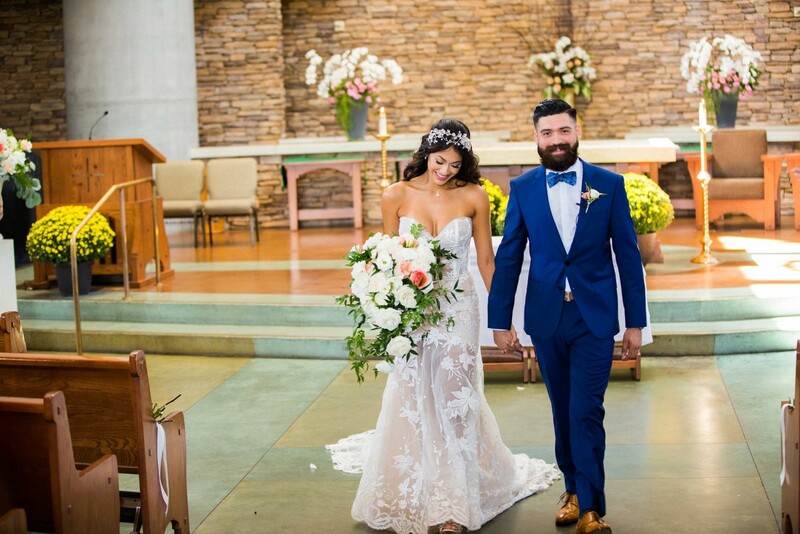 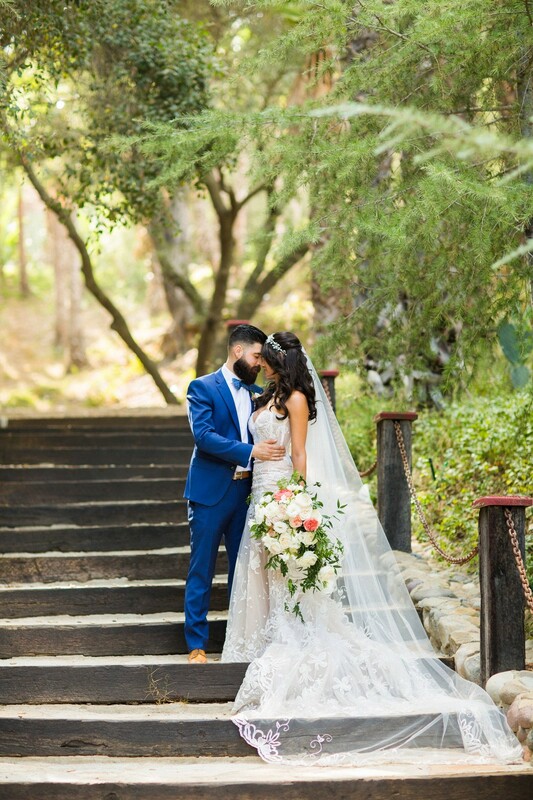 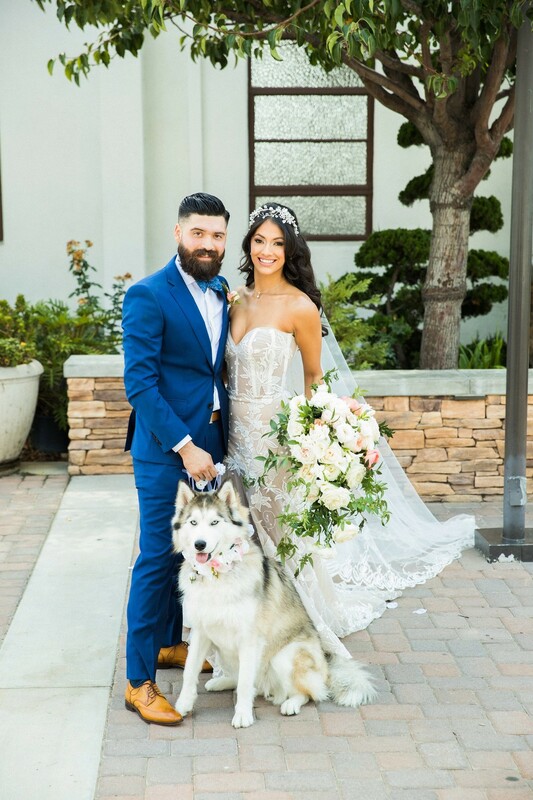 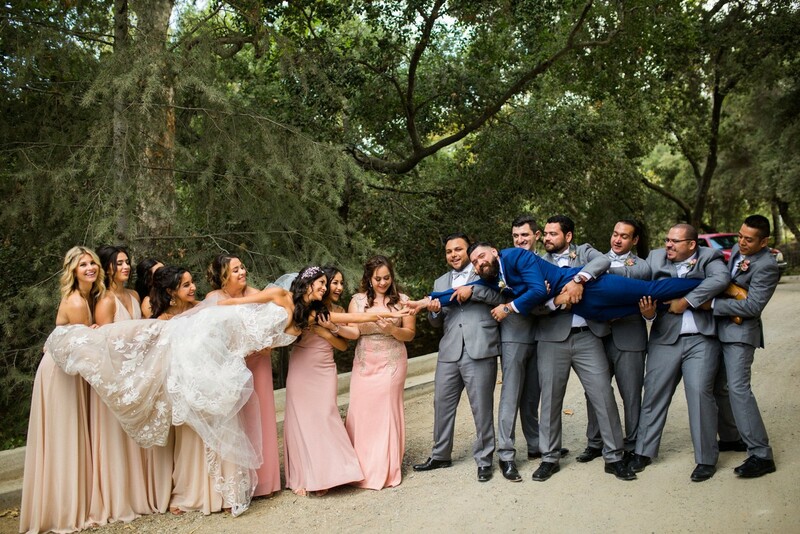 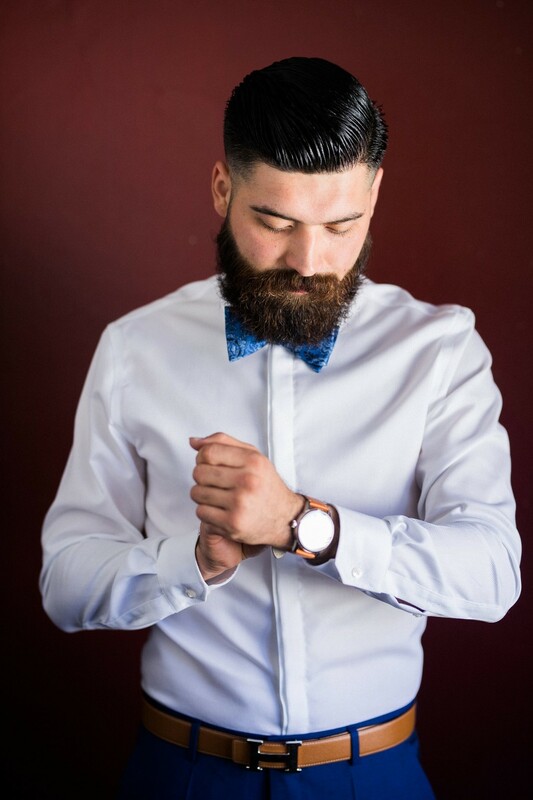 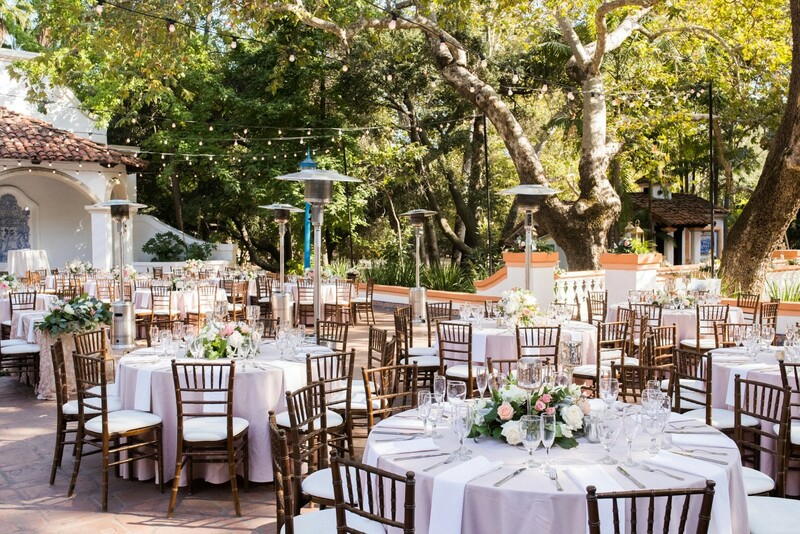 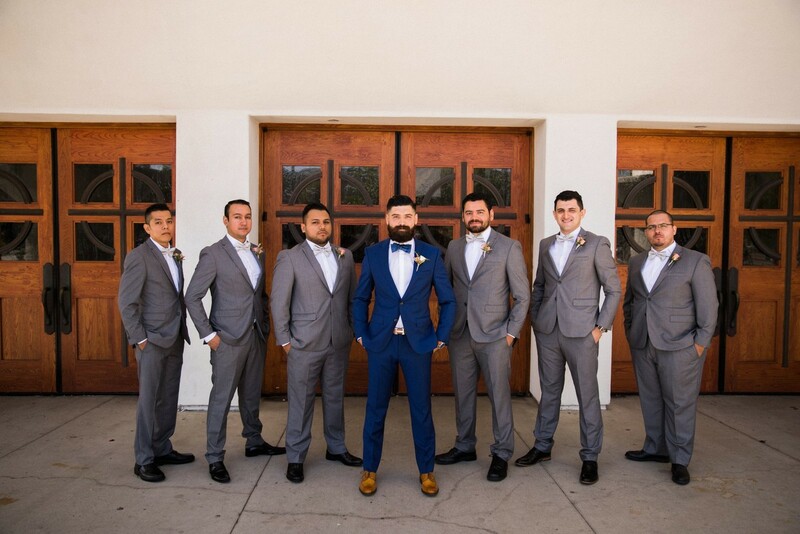 The reception located in Silverado, California at the gorgeous spanish-inspired Rancho Las Lomas with blue, orange, and white architectural details, perfectly complimented the groom’s bold cobalt blue suit from Hugo Boss, as well as his cognac shoes and belt. 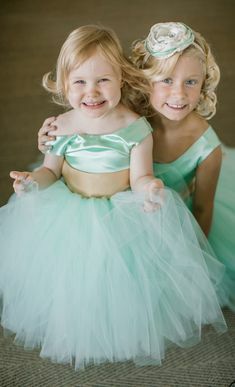 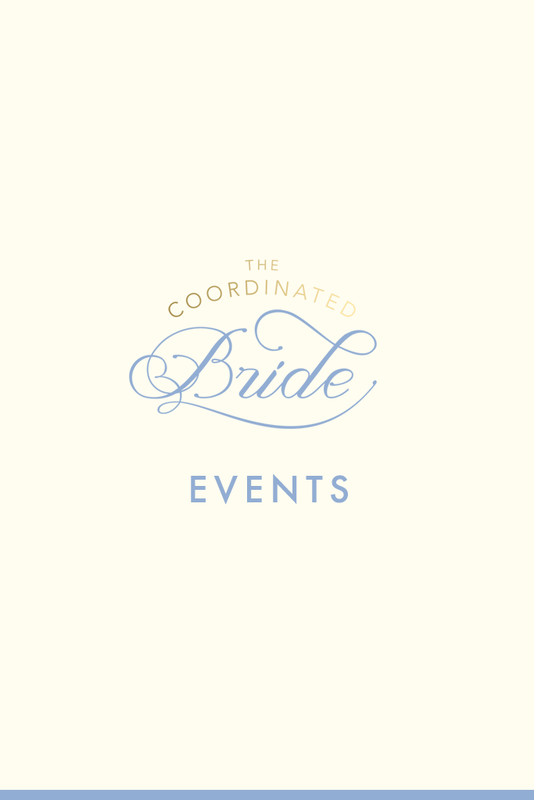 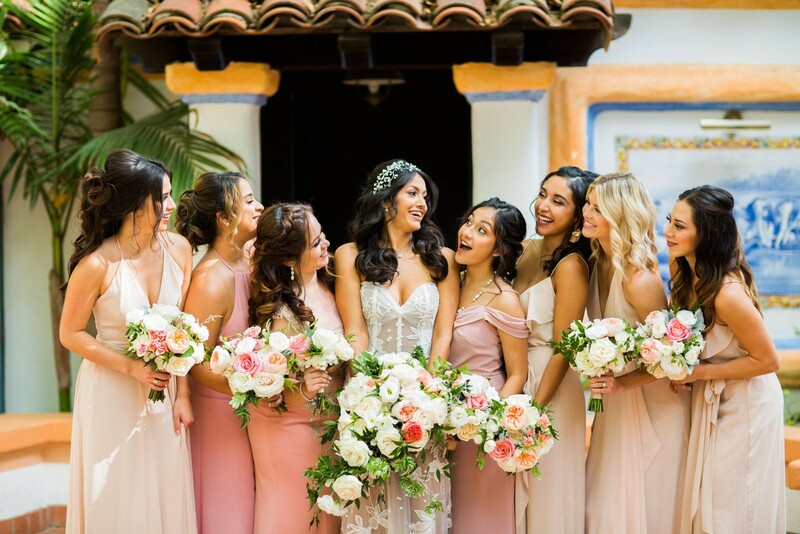 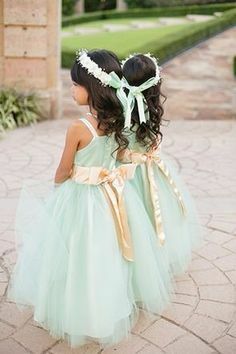 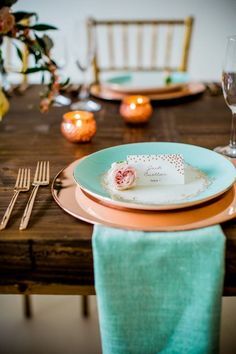 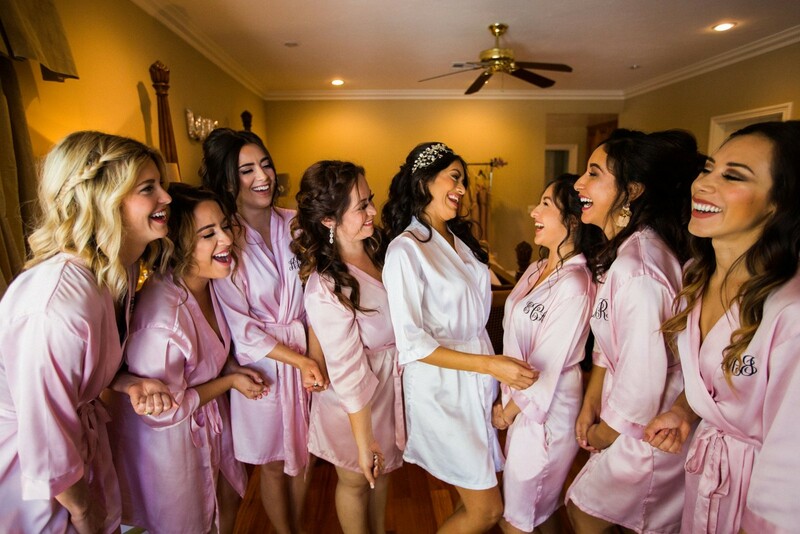 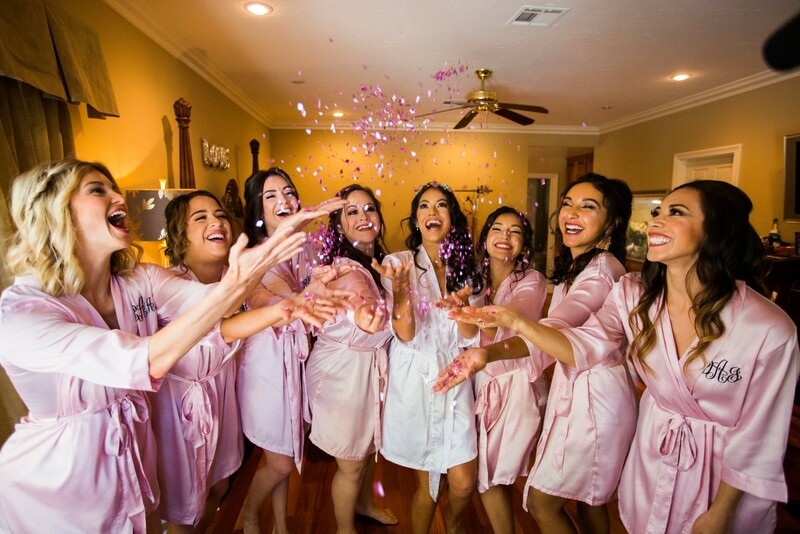 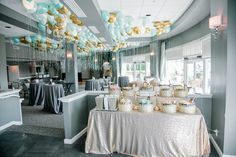 The blush color from the linens, florals, and bridesmaid’s dresses tied beautifully together to create a perfect flow from one aspect of the wedding to the next- thanks to the wonderful coordination of EventsByTheCea. 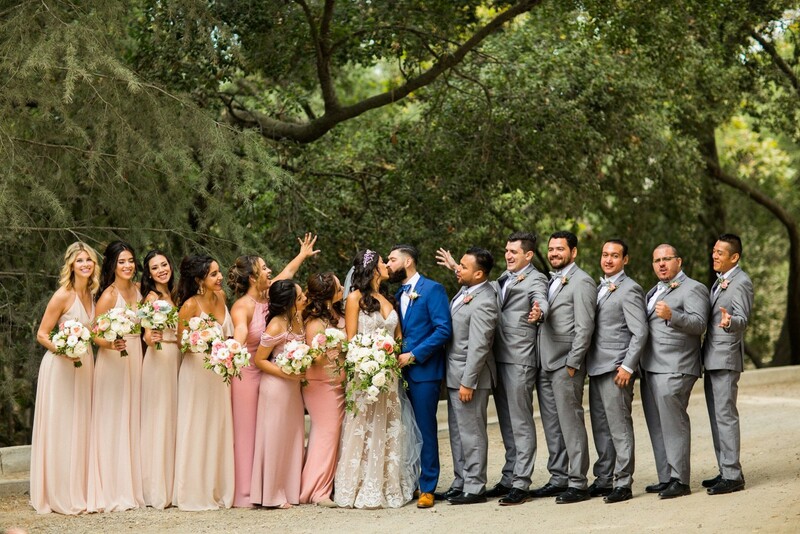 Touches of gold details added a pop of shimmer to the elegant color palette infused with Spanish flair. 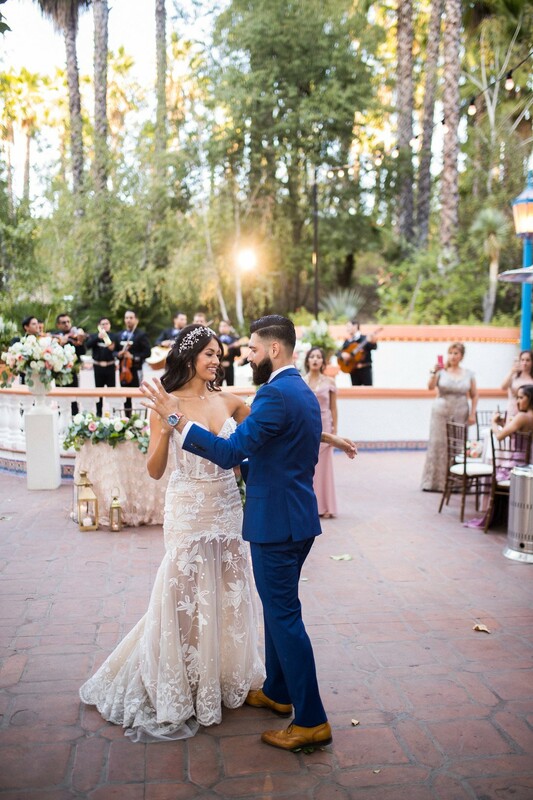 Evelyn’s stunning sweetheart corset dress was designed by Alberto Rodriguez Couture. 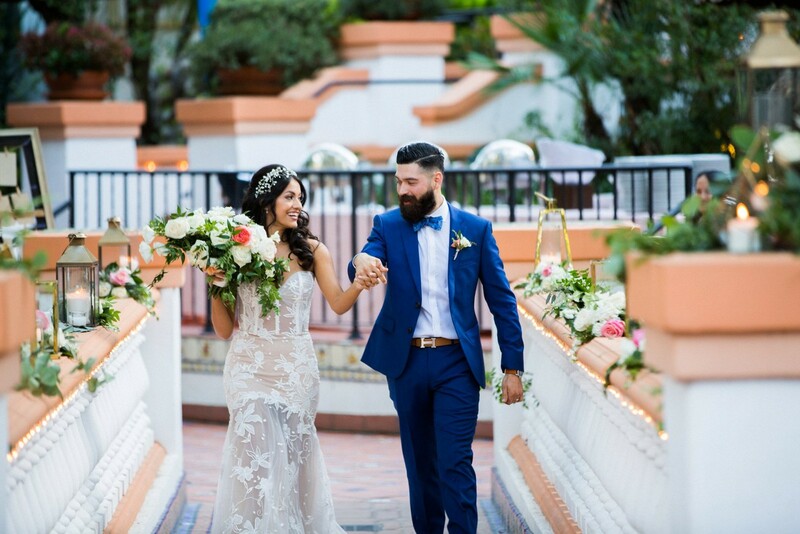 With a fitted top, waist that accentuated her silhouette, and a flowing train that’s just the right length, there’s no doubt that all eyes were on her! 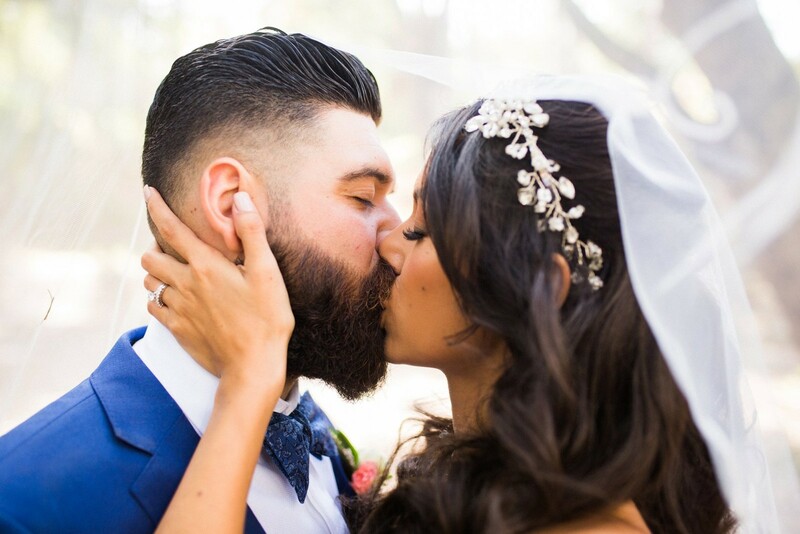 The large floral lace details on her gown paired perfectly with the silver floral headpiece she chose for her hair. 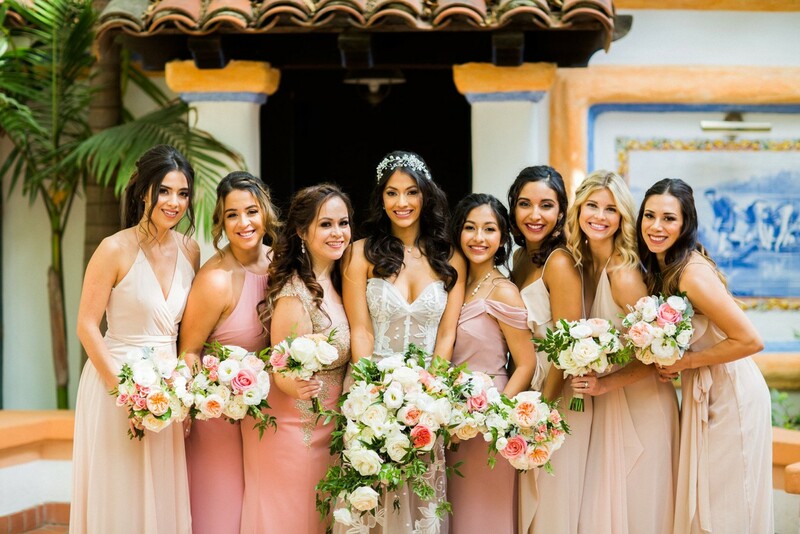 The undertones of blush in the dress flawlessly harmonized with the rest of the day’s color palette. 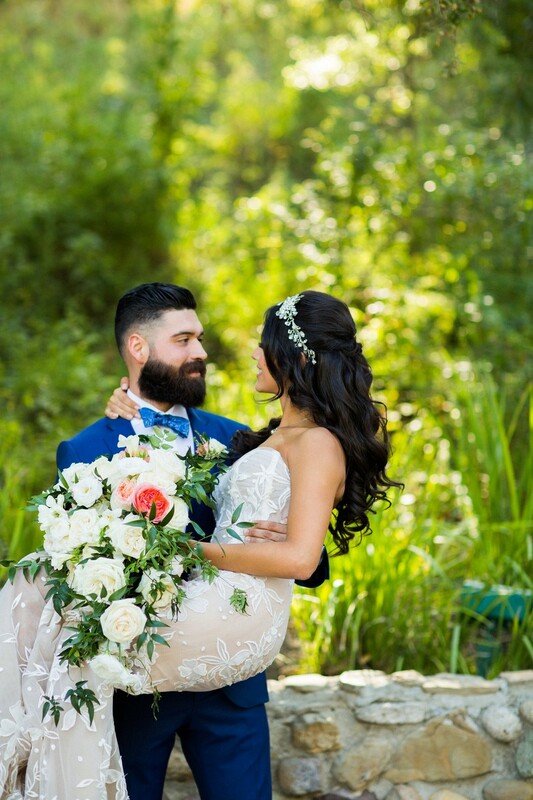 The Bride’s makeup was artfully done by Karlee Morgan and her locks delicately curled by Sierra of Sierra English Hair. 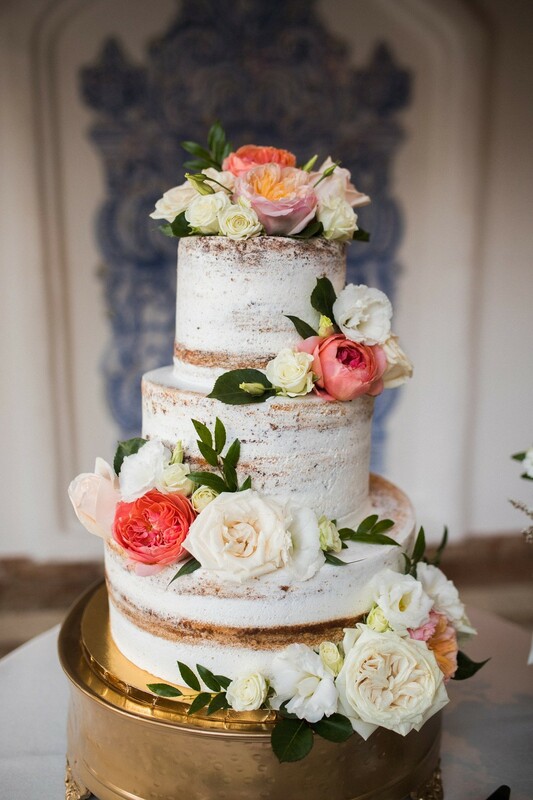 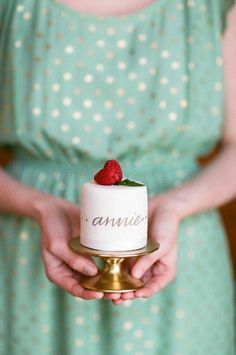 Their mouth-watering, naked cake baked by Amazing Cake Creations, was adorned with more of the eye-catching flowers fashioned by none other than Flower Allie. 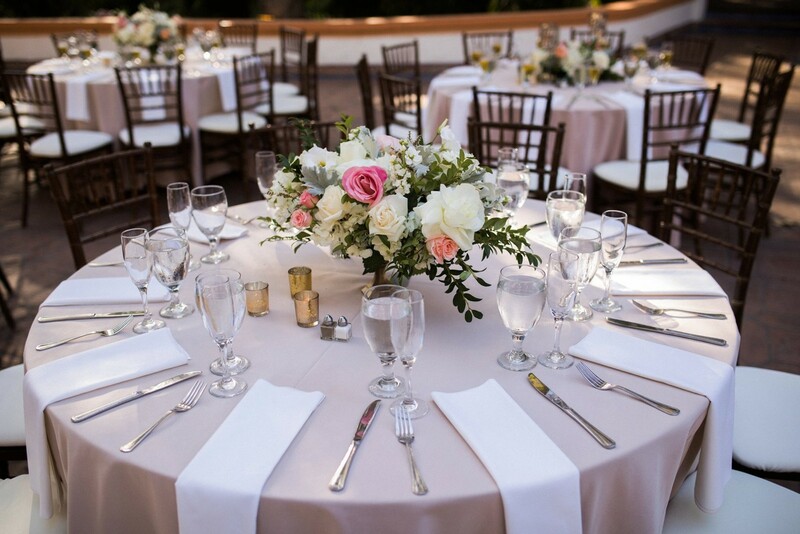 Delicious catering for the reception was provided by 24 Carrots Catering. 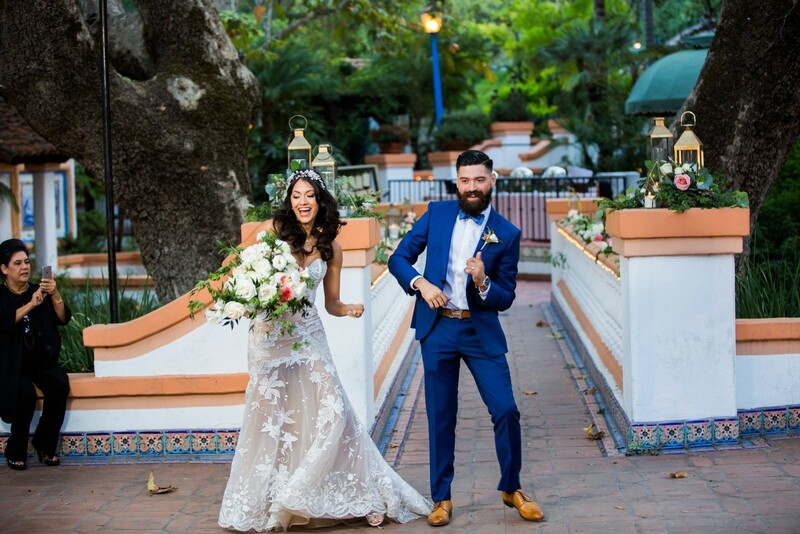 To add even more flair to the day, Evelyn and Hugo chose to party all night with the live band Tino Productions. 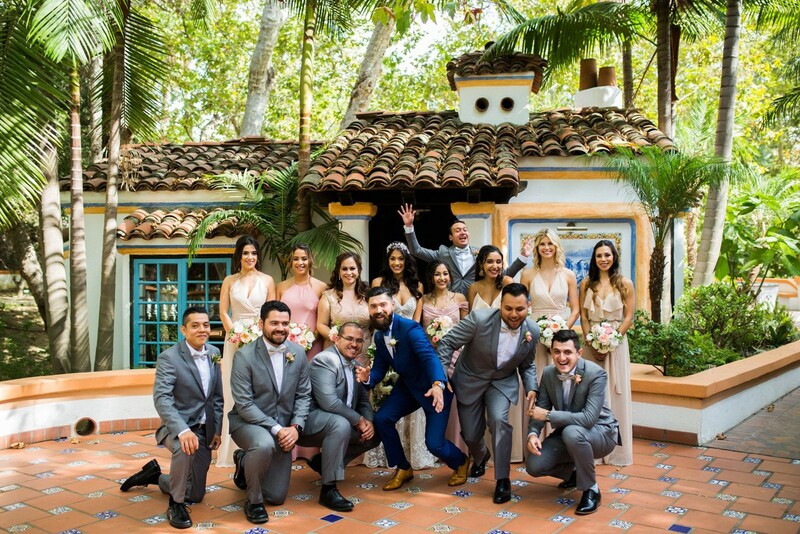 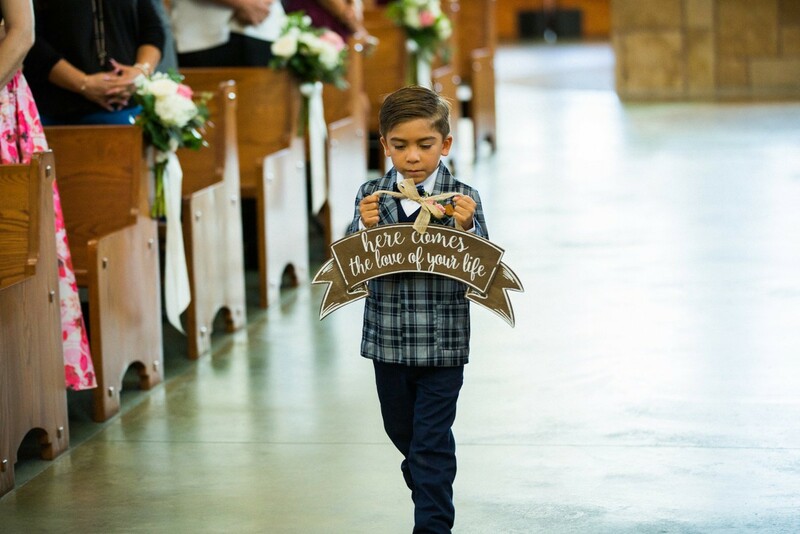 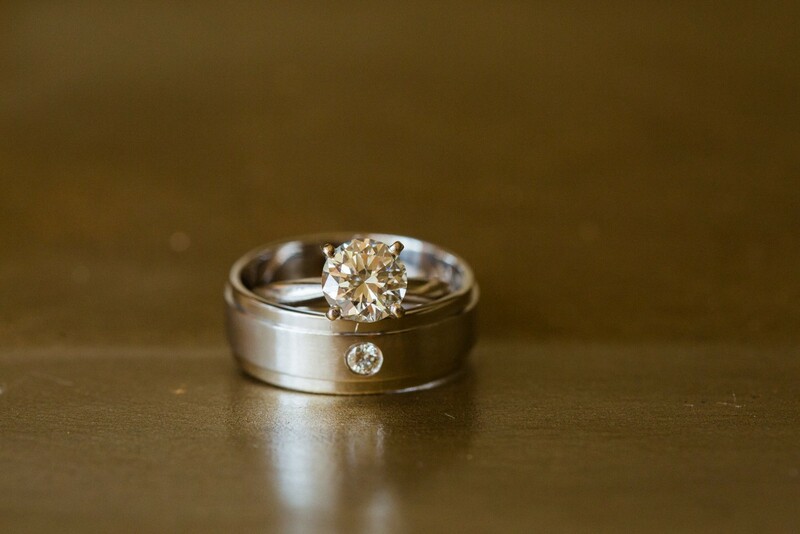 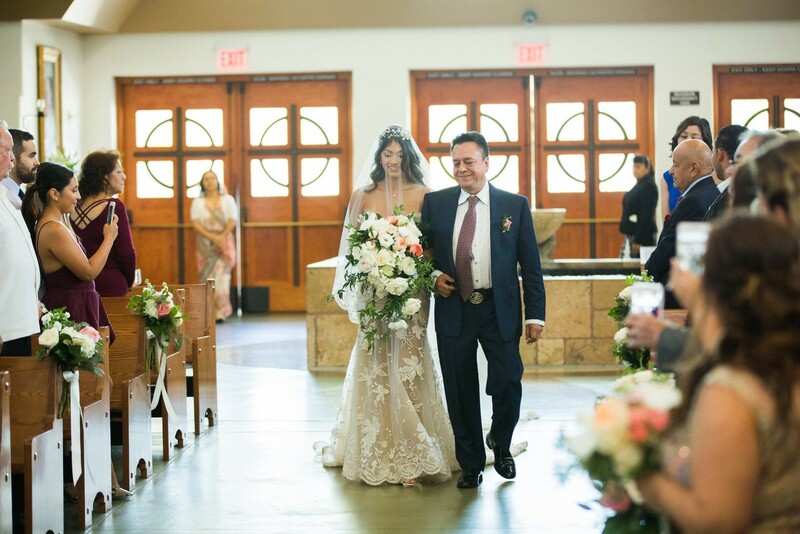 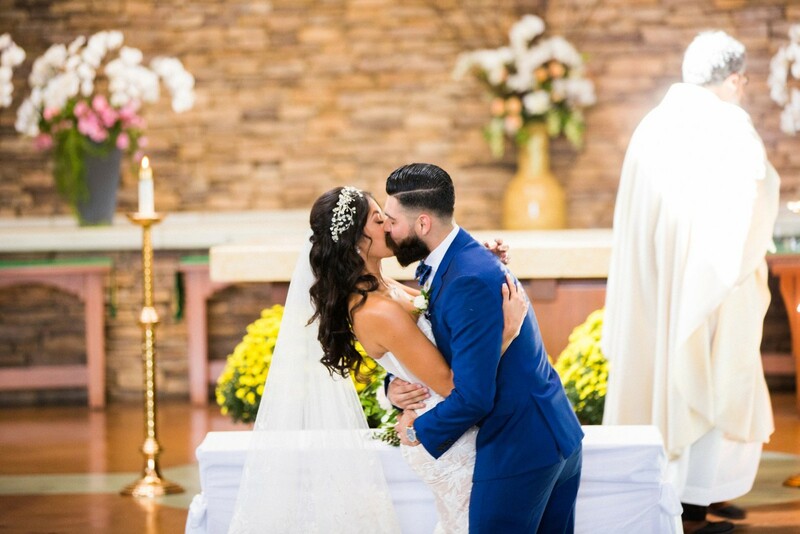 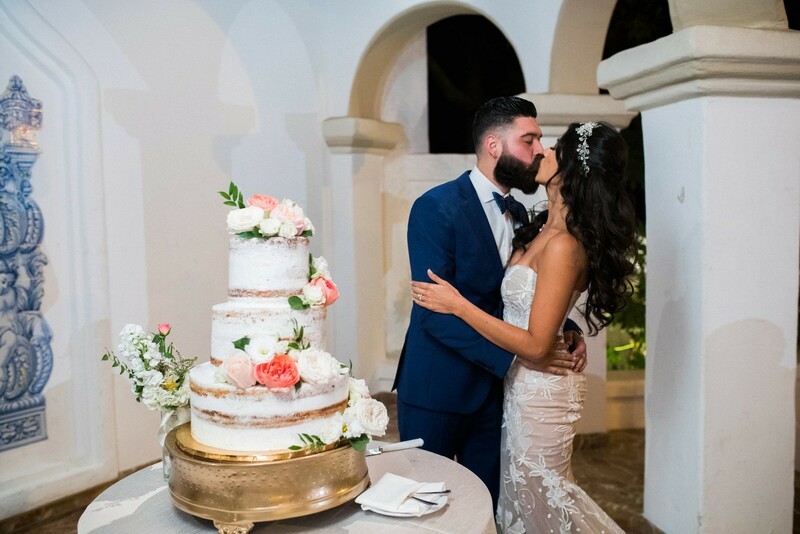 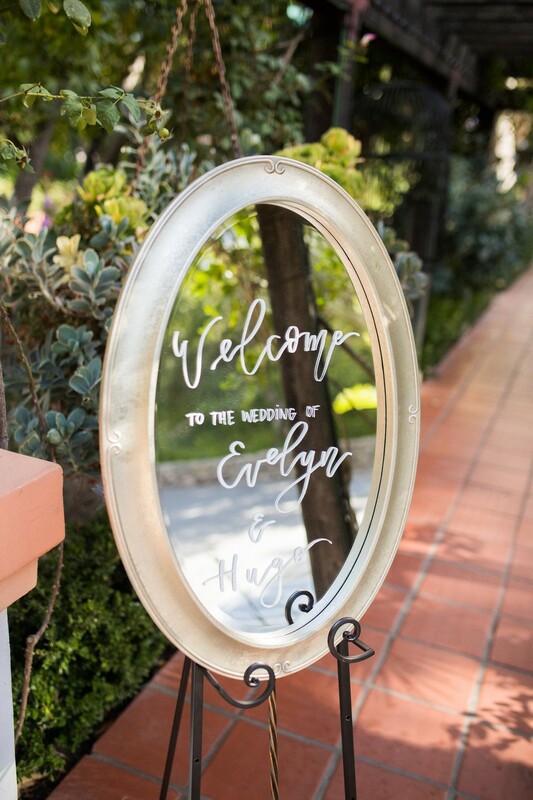 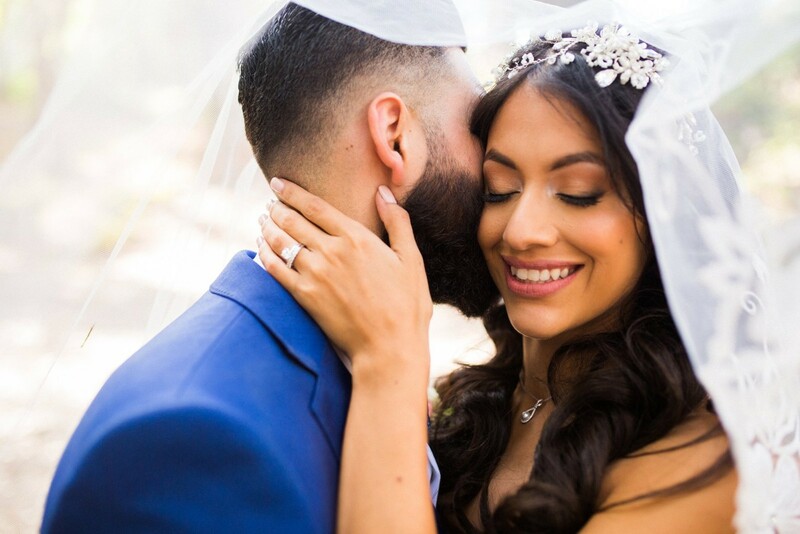 This fun, elegant, bold, and spanish-inspired wedding captured by Three16 Photography and Theater10Films was absolutely stunning! 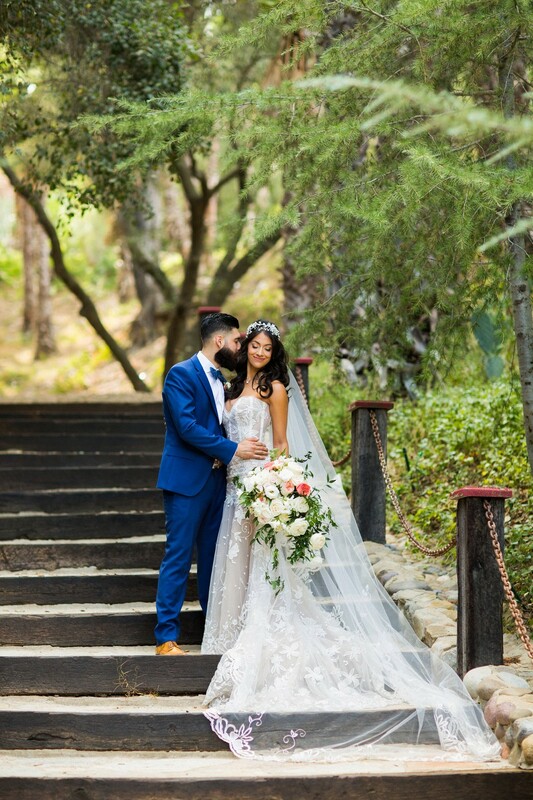 Check out the gorgeous captures below!